Ever wondered how baked roti dough will taste? I have always thought about it but did not try it until last week. Now I know how it will taste and it’s definitely good. My husband wanted me to make something savory but not deep fried in oil. He actually wanted me to bake “bajjis” (vegetables dunked in chickpea flour batter and deep fried in oil) but I simply shrugged it off because I was not in the experimenting mood. Anyhow I wanted to make something for him because he usually does not ask much. I remembered seeing a lot of cracker recipes in Bob’s Red Mill website. So I checked it out again to find something easy and healthy. I found this cracker recipe made with whole wheat flour and sesame seeds which was very simple to bake and I also had all the ingredients. The prep time was only 15 minutes, the time which is anyhow required to preheat the oven and the crackers were ready in no time. But wait, the interesting (or should I say ironical) thing is yet to come. He did not like it. See this is why I don’t make anything for him even if he asks! Fortunately my son liked it very much and so did I. When I tried Nippatu from RC’s blog, I was not sure how it would taste if I used some whole wheat flour instead of all purpose flour. 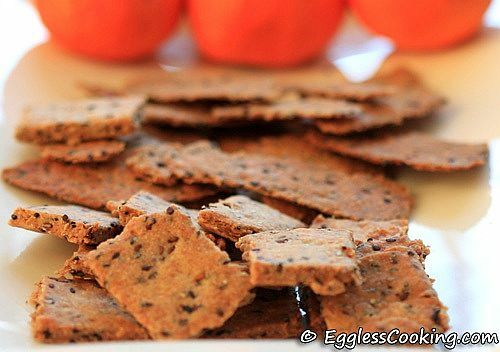 After baking these whole wheat crackers, I’m sure that it would also taste good. 15 Mins 20 Mins 3 to 4 Dozen Cookies. 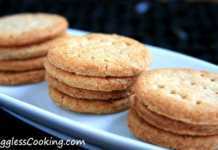 A very easy to bake whole wheat cracker recipe. Preheat oven to 350F/180C for 15 minutes. While the oven is preheating, in a medium bowl sift the flours and salt. Add the sesame seeds. Add the oil and blend well. Add water little by little to form the dough into a ball and easy enough to roll. Divide the dough into 2 balls. Roll each half to 1/8 inch thick and cut into squares or sticks. Repeat the same with the other half too. I dusted some all purpose flour on the surface to roll the dough easily. Place the squares on un-greased baking sheet and bake for about 15-20 minutes or until the crackers are crisp. The baking time depends on the thickness of the squares. Store in a tightly covered container up to 1 week. The cookies were golden brown in color and very crispy. The first batch squares were thick and so I made the next batch paper thin. I preferred the thick crackers and my son liked both. 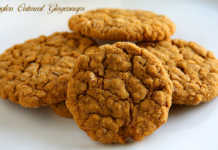 You don’t get the raw smell of whole wheat flour or the soy flour. Also I felt it tasted even better the next day of baking. I used black sesame seeds because I didn’t have the white seeds. I think the pack I had some impurities, so while eating the crackers we were able to feel it. So go with white sesame seeds or be sure to clean the black sesame seeds before using. For the first batch I didn’t know how thin to roll the dough, so the squares were little thick and it took around 23 minutes to turn crisp. I did not flip the crackers but gave a slight shake twice or thrice in between. For the next batch I rolled the dough paper thin and it turned golden brown within 10 minutes. If it’s very thin be alert or else the crackers would burn. The crackers were crispy even after 4 days. Adding ground pepper or chili powder will spice it up. Check out here for more healthy cracker recipes. I made ajwain cookies, and cant wait to try with sesame and jeera! your blog is awesome! do we have to add soy flour, can it be made without that. You can use whole wheat flour instead. Looks good. Want to try this. Any idea how it will turn out if i omit soy flour? Hi Vidhya, I’m sure that it will not affect the taste. Just use whole wheat flour instead. it became little soft after sometime 😥 Did I miss anything ? I’m guessing that you would have added extra water or did not bake it enough, because mine was crispy even after 3 days. Nice crispy crackers. Would love to try them with cumin. Oh! I have to try this.. just the right texture of the kind of crackers i like.. sounds easy too! Love the pics Madhu. Crackers look great. This tempts me to try. You are absolutely right Vaishali. A secret, I have named my husband “Vinodhamanavan” which means a strange person in Tamil. Lovely snack…its healthy that makes it all the more good.I have never used soy flour in my cooking…time to try i suppose.Wonderful recipe…thanks for sharing! These are perfect then. I made some as part of a DB challenge and been making them since. Oh I want to try this for a get togather! They will work as an appetizer with a dipping sauce or something. Thanks so much! That’s a great idea. Some guac or salsa should be a nice accompaniment. I can imagine how good these tasted. I made these and they came out very well. I am not a big fan of sesame seeds in crackers, so I omitted it and replaced it with 2 TBSP of Omam. Next time, I will use only 1 TBSP since the flavor was overpowering. Used Olive oil and it is very crisp. I even added some chilli powder to taste. I wish I had known this site earlier. I live in philly suburb and bake like a crazy woman. 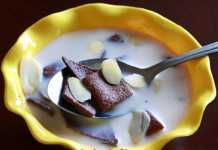 My speciality (what I call) is take any recipe that is non indian and convert it into indian taste. I am vegetarian too, but use eggs in baking most of the times. I might convert this recipe into honey graham cracker and cinnamon graham cracker when I try the next time. If anyone wants to try it, replace 3/4th of water with honey and add cinnamon about a tsp for this batch and it should come out very well. Long, sorry. No problem Champa, don’t worry about the length of the comment. I too lived in the suburbs of Philly and moved to Canada recently. That’s a very good idea for making honey graham crackers. The moment i saw the ingredients i bookmarked it…Looks healthy n yummy..
oh.. what a healthy recipe. i am always looking for snack options for afternoon… and that too healthy ones only… will bookmark this one. Very nice, and baked is so much healthier! Crackers look crisp. I have tried baking with half and half of APF and whole wheat flour. Next time i shall try with whole wheat flour.